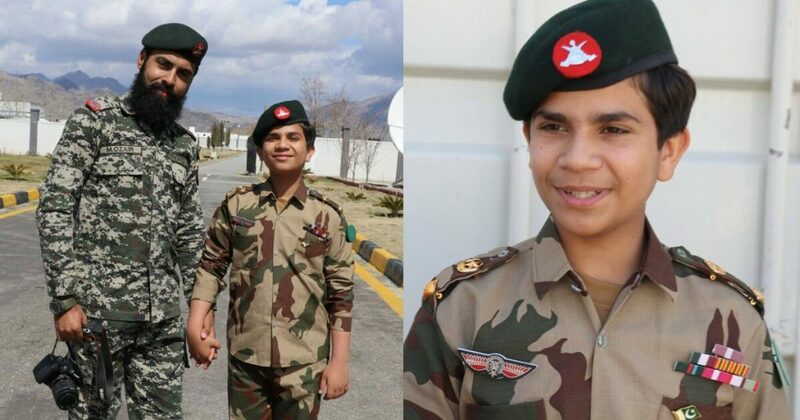 12-Year-Old Professor Hammad Safi Is Winning The Hearts Of Every Pakistani And We’re So Proud Of Him! It is reported in the National Human Development Report by the United Nations Development Programme (UNDP) Pakistan that the country has the highest population of youth. Pakistan is termed as one of the youngest countries in the world and second highest in South Asia reported UNDP. And there is no doubt that Pakistani youth has a lot of potential and talent with which they have demonstrated to the world that Pakistan can’t be overlooked in any aspect, be it education, IT, sports or even acting. Arfa Karim, Haris Khan, Laraib Atta are a few talented young kids who swam against the tides and came out as winners. Hammad Safi is one of them. Hammad Safi a 12-years-old student turn professor who belongs to Federally Administrated Tribal Areas Of Pakistan. A talented young guy who has astonished many people by his vision for seeing an educated Pakistan. Hammad is a professor at a private English university. Other than being a professor, he has earned a name by being the youngest motivational speaker, the youngest teacher, freelancer, Youtuber, and writer. Hammad Safi is the student head of a department called Supper Kids Program (SKP) at the University of Spoken English & Computer Sciences – USECS Peshawar. A few days ago, Hammad Safi paid a visit to Wanna, the largest town of South Waziristan Agency in Pakistan. On his visit to Wanna, he met students of Cadet College Waziristan and delivered lectures to motivate them. The locals of Waziristan welcomed Hammad with open arms and requested him to share a few words with them. While talking about the sacrifices of Pakistan Army and people of Waziristan, Hammad said those patriots can’t be forgotten. The ‘Nanha Professor’ of USECS also appealed from the locals of Waziristan to respect and support Pakistan Army. ‘We all should support Pakistan Army and stand united, it is our duty to portray the correct image of Pakistan to the world’, said Hammad. Remembering the painful memories of the people of Waziristan when they were being displaced from their homes in 2008, Hammad quoted a verse of the Holy Quran and said that indeed there will be ease. ‘Allah says in the Quran that then indeed with every difficulty, there is ease, indeed with every difficulty, there is ease – Surah Al-Nashrah verse 6, and the difficulty from you people passed on was really hard. But you’ll see the ease, you’ll witness a progressive Pakistan’, said Hammad. 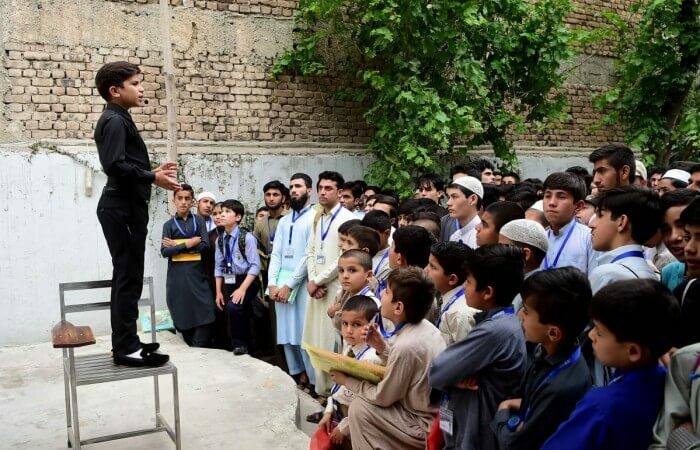 Hammad Safi is working on his new project ‘Ummah Children Academy’ in which he has taken the responsibility of educating 700 orphans. On five acres of land in Nowshehra, Hammad has been providing full-time care to those orphans. He talked about Ummah Children Academy in Waziristan as well and announced that he’ll support the orphans in Waziristan as well. This intelligent and brave child of Pakistan is making us proud around the world. Hammad’s recent visit to Waziristan has been given a clear cut message to the world that Pakistan is a peaceful place to live and we are standing united with our arm forces.